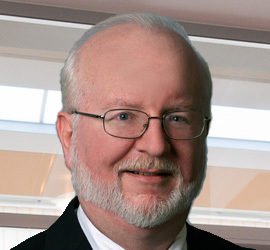 Jim Young is a versatile and effective outsourced general counsel and corporate generalist. He is a qualified arbitrator and mediator and avid proponent of alternative dispute resolution procedures in lieu of litigation. With three decades of deal-making experience, Mr. Young is uniquely qualified to help resolve business disputes by bringing adverse parties to the negotiation table. He previously worked with Cox & Smith (now Dykema Cox & Smith) in San Antonio and Mayor, Day & Caldwell (which merged with Andrews & Kurth) in Houston in the corporate, securities and transactional practice groups. In 1990, Mr. Young became General Counsel for Acap Corporation in Houston, a publicly held group of insurance companies engaged in acquiring other life, accident and health insurance companies or blocks of life, accident and health insurance policies in force. He later served as Associate General Counsel with the Conseco Companies, a Fortune 500 insurance and financial services firm. Mr. Young has deep experience with turnarounds including the HealthMarkets Companies (Deputy General Counsel), Saxon Publishers, Inc. (General Counsel), Southwestern Life Holdings, Inc. (General Counsel), the Transport Companies (Corporate Counsel) and the Statesman National Life Insurance Company (General Counsel). Through the course of his career as solo general counsel for emerging businesses and as the head of legal departments for larger organizations, Mr. Young has encountered a full range of issues likely to arise in the course of the business life cycle. Through this experience, he has developed broadened business and managerial perspective as an active participant on several senior management teams, enabling him to guide clients through legal challenges while still relating to them on a business level. Mr. Young currently serves as an adjunct professor of law at Texas A&M University School of Law in Fort Worth, Texas and as an adjunct professor in the undergraduate paralegal studies program at Texas Wesleyan University. He is an assistant coach of the undergraduate Mock Trial and Mediation Program at the University of Texas at Dallas.